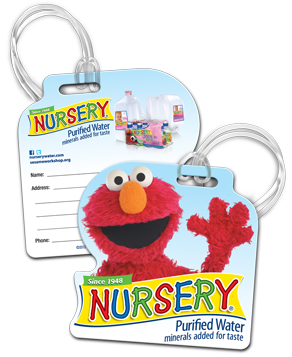 Nursery Water is offering giving away FREE bag tags. These are available to the first 100 people to sign up each day at 12 noon EST. This offer good only in the United States, U.S. Territories, Canada, and Mexico. Limit one free bag per household / per calendar year. No purchase necessary. Offer good while supplies last. Please allow 4-6 weeks for delivery.